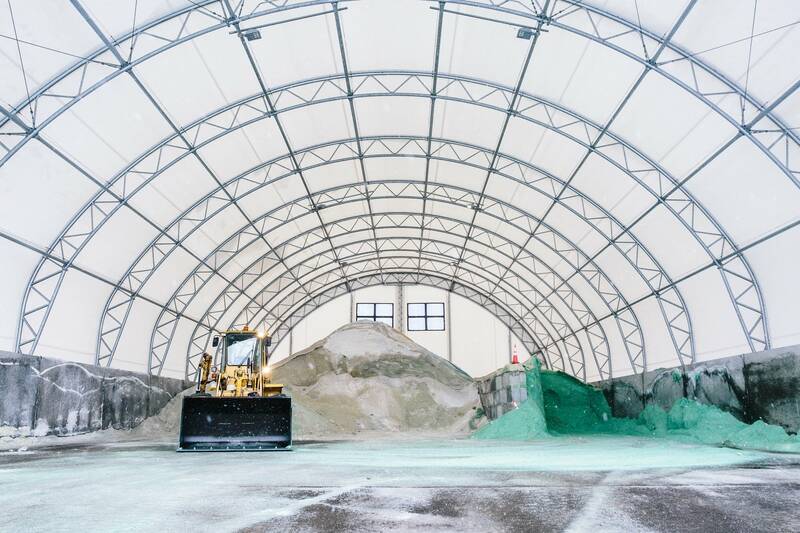 When we toss down the road salt that's ubiquitous with icy, snowy winters in the North, the salt doesn't just disappear after it clears up the roads and sidewalks. In fact, it's starting to get into drinking water in places across the Midwest and New England — posing an emerging threat to water supplies and a health risk for people on sodium-restricted diets or with high blood pressure. Most people start tasting salt in water once it reaches concentrations of 250 milligrams per liter. Even before that point, though, water can start to taste off. Faith Fitzpatrick lives in Madison's Spring Harbor neighborhood. Her well has been among the hardest hit by road salt pollution. Some of her neighbors with low-salt diets have installed filtering systems in their homes. She describes the tap water as having a mineral-laden, carbonate taste. It's not like dipping your cup into the Dead Sea, but it's different. The water, Fitzpatrick said, "does taste a little saltier, but it's not like you would drink it and say, 'Oh my gosh that's super salty.'" Private applicators are partly to blame for how the water got this salty in Madison. They'll sometimes put down 10 to 15 times the recommended amount of salt, Grande said, which doesn't help the safety. So, the city Water Utility is trying to educate applicators on how road salt affects the water and how overuse is wasteful. "Just because you put down twice as much salt as is required it doesn't necessarily make it twice as safe," Grande said. "We're basically trying to get out the message, 'you're really just throwing this salt away.'" Madison has tried alternative deicers like cheese brine and beet juice, Grande said, but the level of organic compounds in those solutions create such an oxygen demand when they run off into lakes that they risk killing fish. "The bacteria start to consume all that organic material, consume all the oxygen, and then there's no oxygen left for the fish," Grande said. The city decided to steer clear of beet juice after the health department found high levels of heavy metals in the solution, he said. 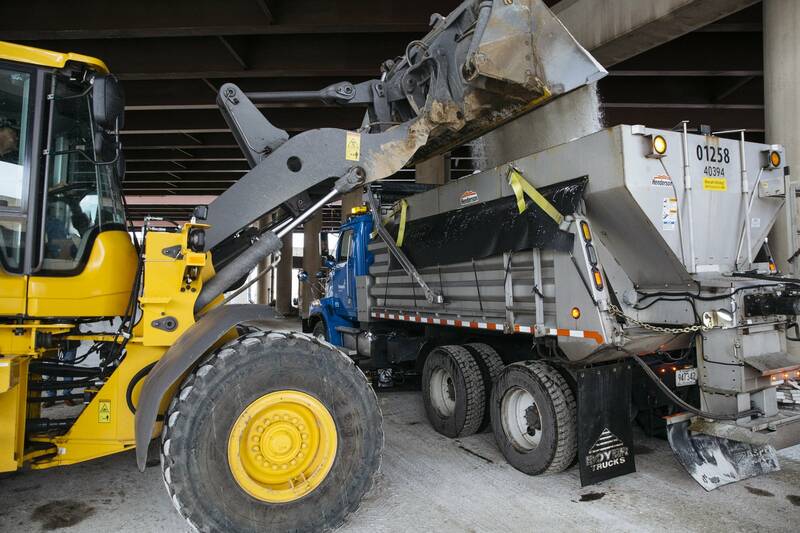 For now, salt remains the most effective and affordable way to de-ice roadways. And there's no way to clean up salt-contaminated water, aside from reverse osmosis. Reverse osmosis works by forcing water through a semipermeable membrane to trap minerals, salts and other impurities. However, it's so costly, it's not really feasible on a large scale. Installing a home reverse-osmosis system can run anywhere from around a hundred dollars up to tens of thousands to install, depending on how much water you want to filter. What could happen here in Minnesota? In Minnesota, we're safe from drinking salty water for the near future. Seventy-five percent of the state draws its water from aquifers like those in Madison. Statewide, factors such as mining and farm runoff also contribute to increased salinity in water. However, Brooke Asleson, water pollution prevention coordinator for the Minnesota Pollution Control Agency, said they're deep enough that the chloride contamination already found in some of the state's surface water hasn't reached them yet. While there is an increasing trend in chloride levels in these aquifers, they're not close to affecting how the water tastes, Asleson said. As sodium and chloride levels continue building up, however, they'll only get harder to reverse. "If you think about once the chloride gets to that deep aquifer," Asleson said, "you know, what are we going to do?" This story is a part of The Water Main, our new initiative that aims to bring people together, move conversations forward and create meaningful connections that help sustain clean, abundant water for all.